This post contains affiliate links to products we love and personally use. If you choose to purchase the products through our link, it doesn’t cost you extra to do so, and your purchase helps keep the website content free. Your support is much appreciated! 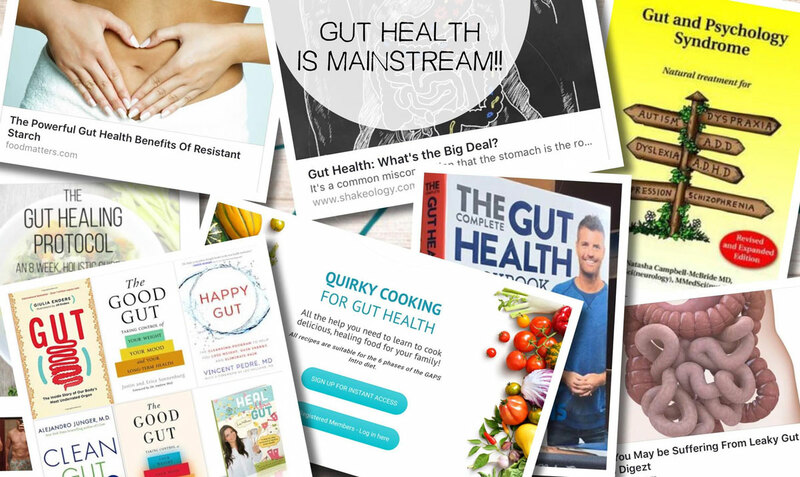 Over the past few years, the relatively obscure topic of gut health has gone mainstream. 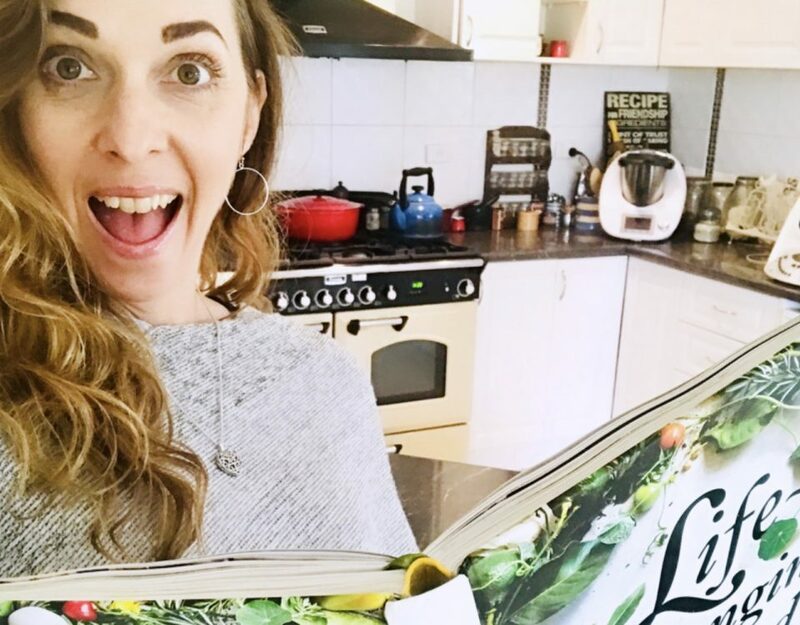 It’s an exciting step in the right direction, as gut health really is incredibly important for overall health and well-being, and we would all benefit greatly from eating in a way that looks after our gut health. 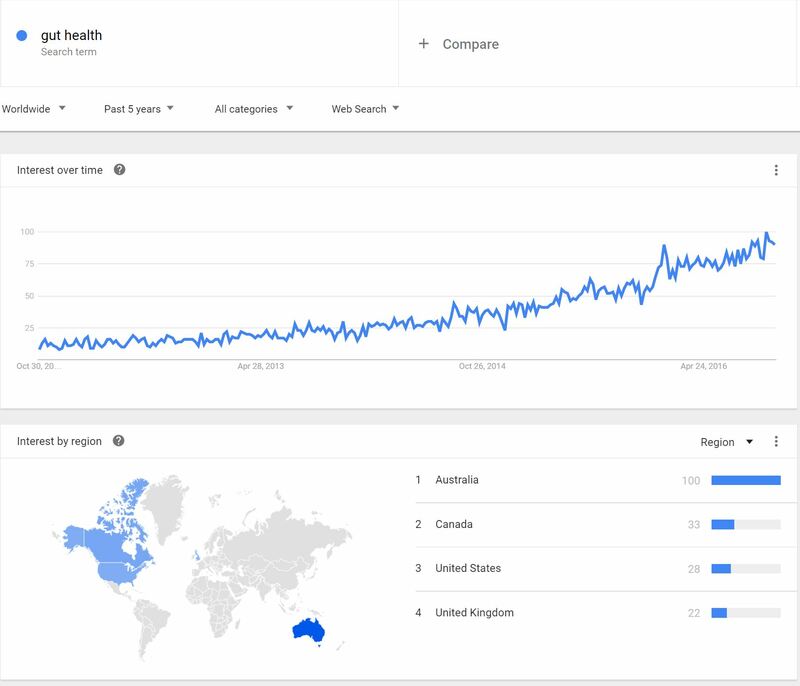 It’s fascinating to see the sharp increase in interest in gut health – check out the Google Trends chart below. Those of us who have been eating for gut health know that this trend is only the beginning. Why is Gut Healthy Eating so popular now? Of all nutritional interventions, gut healthy eating has been the most powerful tool for my family’s health journey. 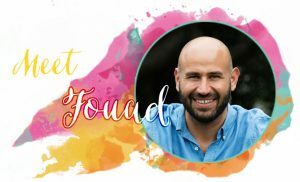 The unbelievable impact from eating food for gut health that we’ve personally experienced (see Isaac’s story here) is what led me to create my online program, Quirky Cooking for Gut Health, where get into the practical “how to’s” of gut health based on the GAPS protocol, with videos, tutorials, meal plans and recipes. 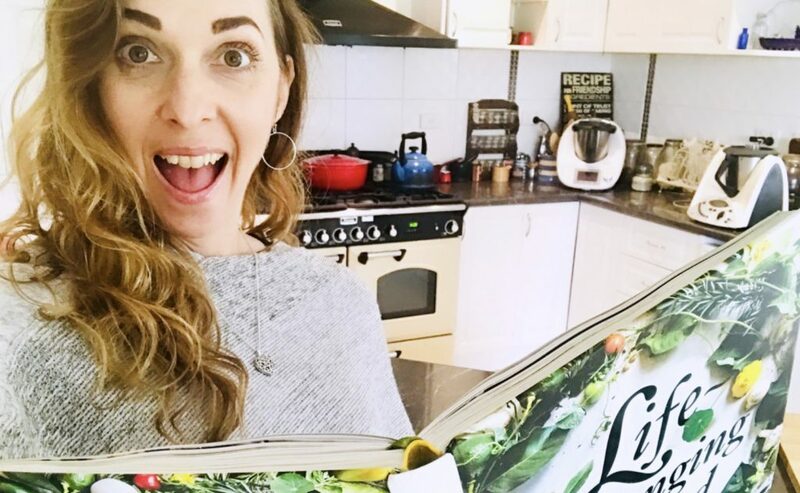 I wanted to share the information and simple ‘food hacks’ that we found most helpful for beginning this way of eating, which is why I wrote the program. This post of for those of you who are not yet ready to try GAPS but want to start adding more gut healthy foods into your diet. the state of the gut microbiome. The lining of our gut absorbs and transports nutrients across the intestinal wall. This gut’s permeability allows small particles of nutrients to cross into the blood stream but stops larger molecules, such as proteins and microbes from entering. The gut lining is also where the most number of immune cells are produced. If the gut lining is not healthy, our immune system is directly compromised. The gut lining can also become leaky, allowing large, unwanted molecules to pass into the blood stream. As these large molecules enter our blood stream, our immune system responds with inflammation which leads to a host of health issues. Any gut healing diet must address the health of the gut lining. There is 10 times more microbial DNA in and on us than there is human DNA. The gut contains an incredible number of bacteria, fungi, yeast and viruses that are important for our health. 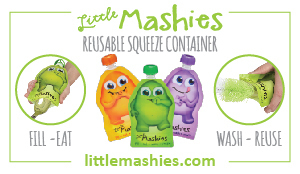 They play a large variety of complex roles that range from food digestion to manufacturing vitamins. The absence or presence of certain species, or even the relative ratios of bacterial species determines how healthy we are. Our modern life places a lot of stress on our gut health. Anything from chlorinated water to antibiotics or eating refined foods will have a direct impact on the microbiome. 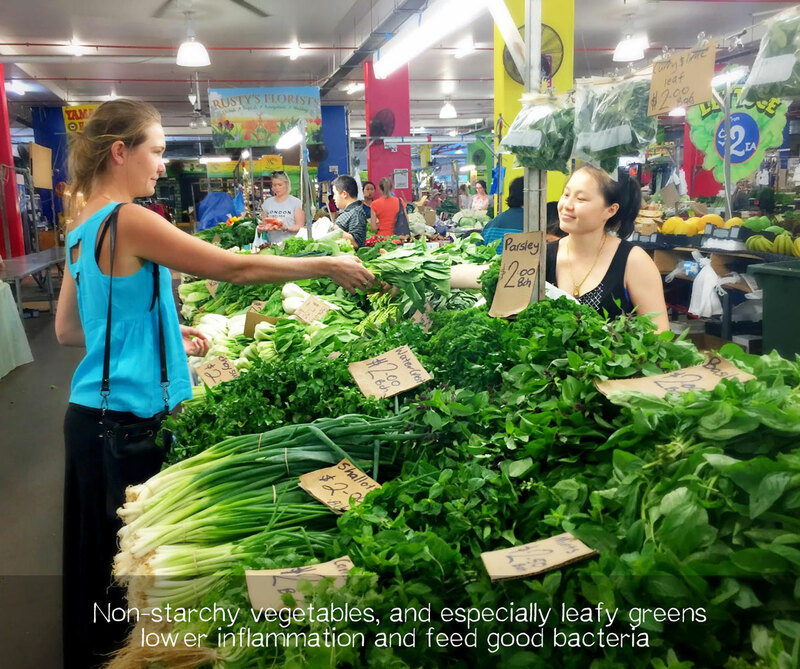 Eating to support existing beneficial microbes and to reduce the population of harmful microbes is necessary for gut health. Now that we’ve covered some basics of gut health, let’s take a look at the Top 6 Foods that should be included in a gut healthy diet. Broth is now appearing on the menu in cafes around the country, which is wonderful news as it is one of the most gut healing foods around. 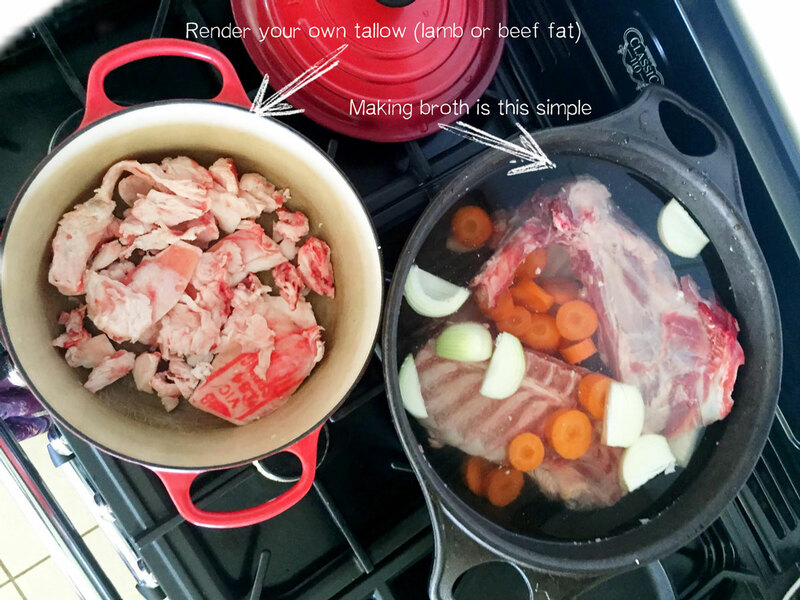 Bones from grass-fed cows or lamb, free range chicken or wild caught fish make a highly nutritious broth that contains gelatine, a compound with numerous health benefits. Specifically for the gut, gelatine increases gastric acid secretion for improved digestion, and restores a healthy mucosal stomach lining, which seals the gut for decreased permeability. 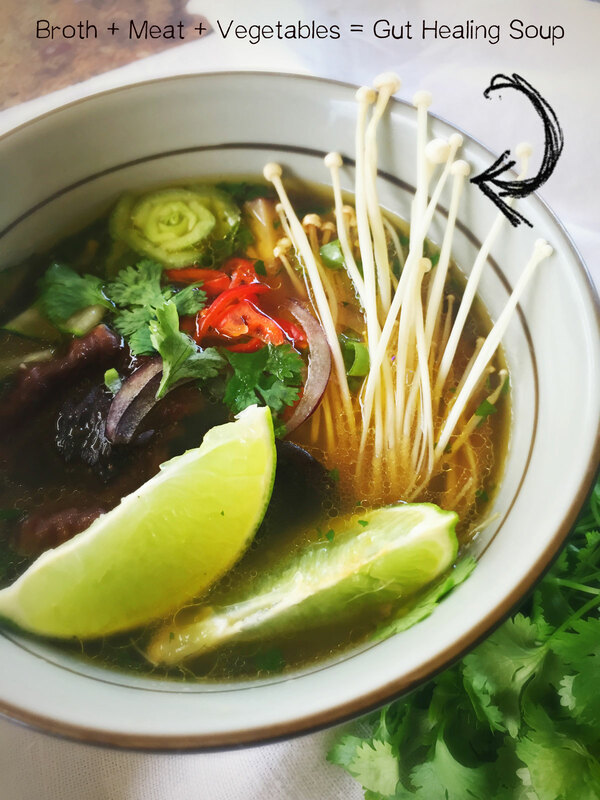 Don’t be deterred by the name bone broth, a good quality chicken soup is rich in gelatine, as is any other bone-based soup. For those with major gut health issues, you will need to begin slowly with meat stocks, and move on to bone broths later, as the meat stocks are gentler on a damaged gut. Meat stocks are made with joint bones, meat close to the bone, lots of connective tissue, and gelatinous meats – not the muscle meats. The connective tissues contain the really gelatinous proteins that the body uses as basic building blocks to heal damaged cells and gut lining. 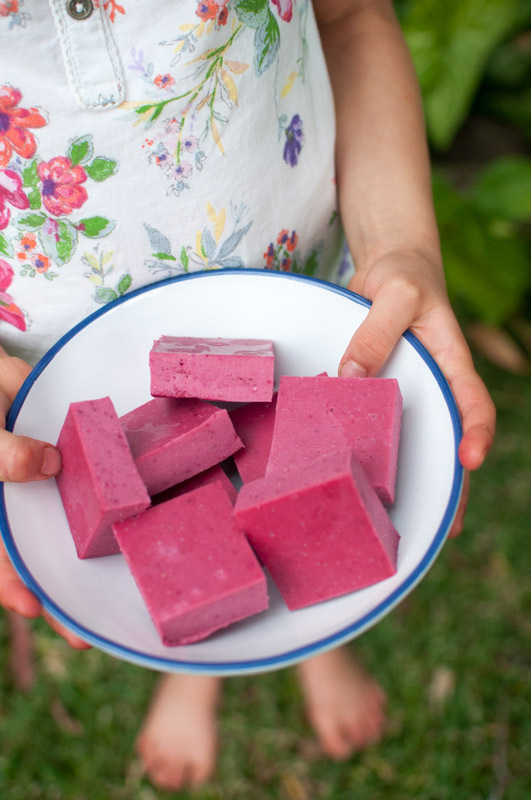 You can also buy powdered gelatine (we love Changing Habits gelatine) or powdered collagen (see here), which is a great supplement to have in your pantry for those days when the whole food option of broth or stock is unavailable. Gelatine powder can be added to hot liquids to turn them into a jelly. Collagen does not jellify but easily dissolves in cold water. Which Gelatine Should I Use? Changing Habits gelatine is by far the best gelatin that we’ve come across. It’s organic and has little/no flavour when added to food. What’s old is new again. Fermented foods are a cornerstone staple in traditional cuisines. Ferments such as yoghurt, sauerkraut or fermented vegetables, kefir, kombucha, apple cider vinegar and kimchi are delicious additions to our diet, and contain probiotics – beneficial bacteria – which our body needs for optimal health. Many of these beneficial bacteria are transient – they do their good work as they pass through the digestive tract. 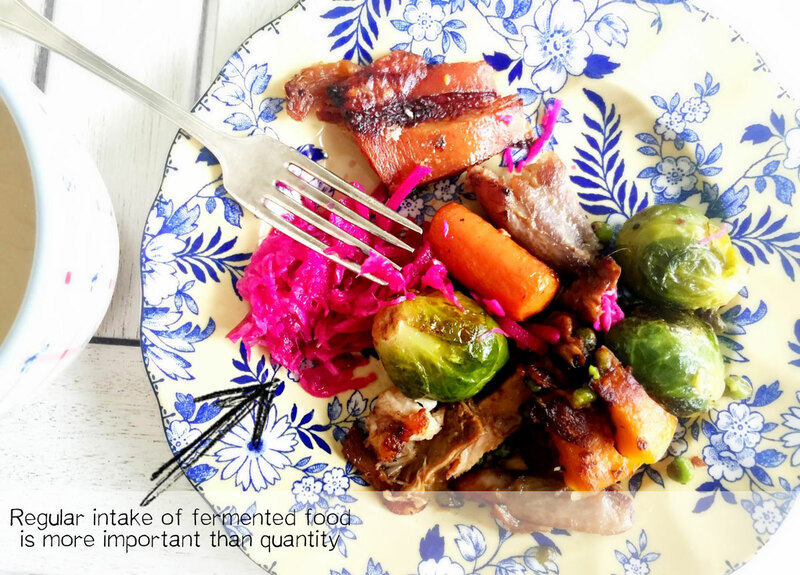 This means that when it comes to fermented food, regular intake is more important than quantity, so include them with every meal. The acids produced by fermentation also help in the breakdown of food, and lower the glycemic index of starchy carbohydrates – another win! Along with fermented foods, it’s important to take a good quality probiotic when healing the gut. The greater variety of bacteria you can get into your system, the better! We recommend GutPro for a concentrated probiotic formula. 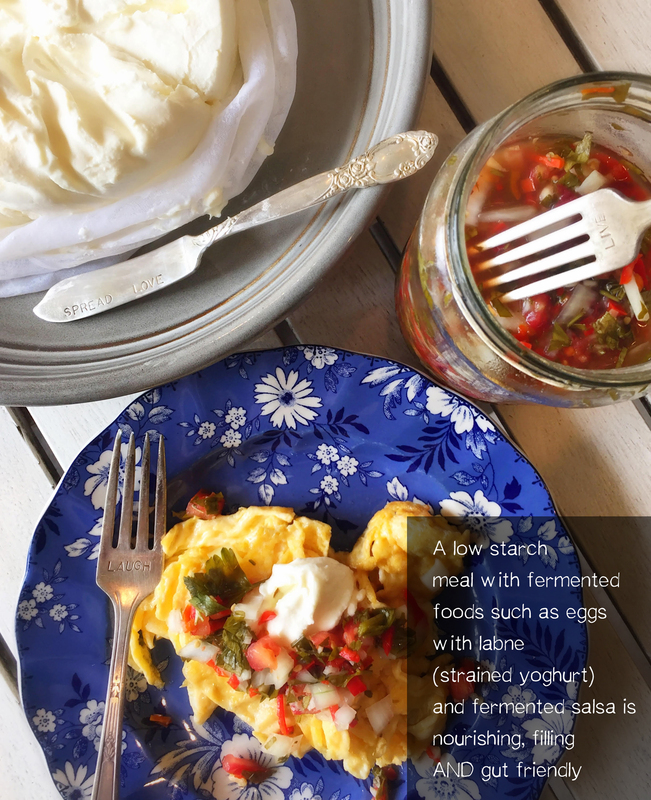 Try these recipes: Fermented Salsa; 24 Hour Yoghurt or Sour Cream; and learn how to make many more from the Digestive Hope website. A few years ago, Omega 3 fats were all the rage. Most health articles included some reference to fish oil or grass-fed butter, touting the benefits. We’ve been hearing less and less about them recently, but the thing about biology is, it doesn’t care for fads. Omega 3 fats are incredibly important for our health, and their ability to lower inflammation is beneficial for gut health. Preliminary research is also pointing towards a beneficial relationship between the intakes of EPA – a type of fat found in fish oil – and gut bacteria. Be warned, however. Not all fish oil is created equal. We personally recommend Rosita’s Cod Liver Oil which is totally unrefined, and is extracted from the fresh livers of wild caught codfish, then bottled and stored carefully to preserve freshness. 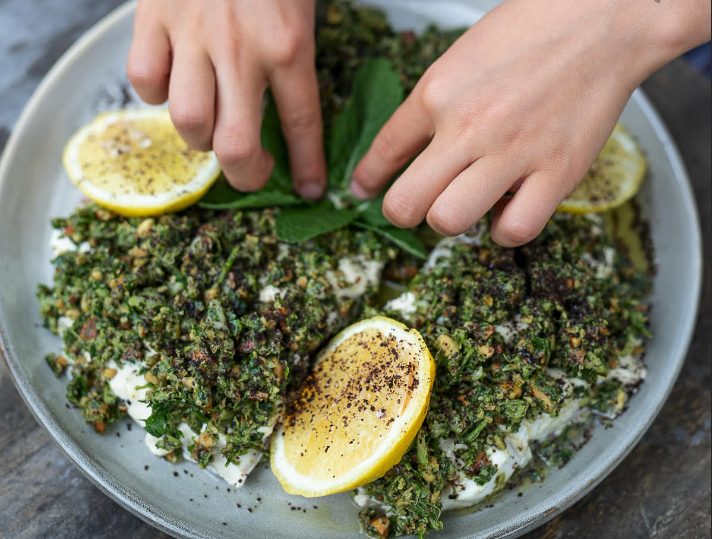 In addition to the specific benefits of Omega 3s found in natural foods, there is a massive benefit to gut health that is to be gained by switching from polyunsaturated vegetable oils to animal fats. The polyunsaturated fats derived from grains and seeds (often genetically modified) such as canola, soybeans, rice bran or corn are extracted using harsh chemical processes and heat. They are also stored in less than ideal conditions which result in oxidised, rancid, inflammatory fats that we believe are unfit for human consumption. Removing these fats from your diet and replacing them with traditional animal fats such as butter, ghee, duck and chicken fat, lard and tallow will reduce inflammation and promote gut health. 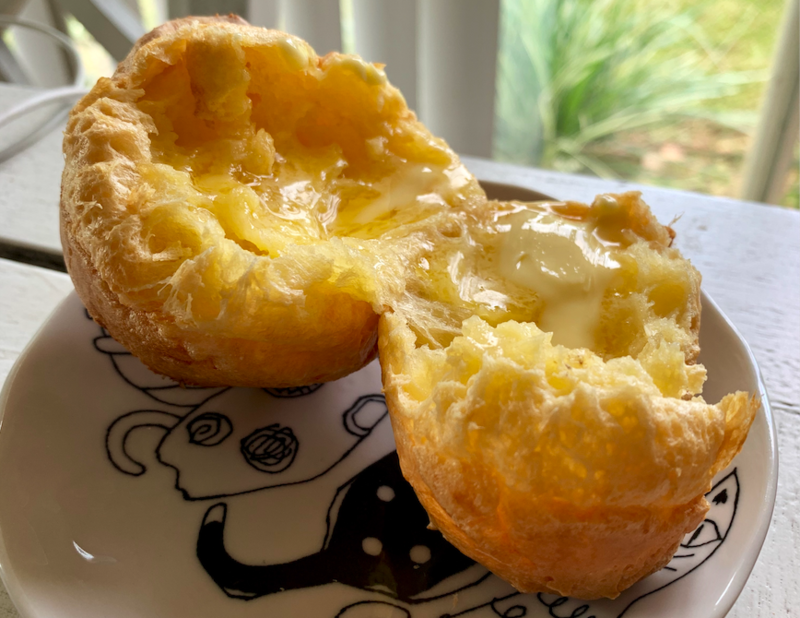 The fear of cholesterol that caused us to move away from most of these traditional fats turned out to be unjustified and butter is back (in case you haven’t heard)! So why raw? Raw egg yolks are actually easier to digest and much less likely to trigger an allergic reaction than cooked egg yolks. This is why raw egg yolks are one of the first foods introduced on the GAPS diet! The nutrients (and the enzymes needed to digest them) are destroyed when cooked. 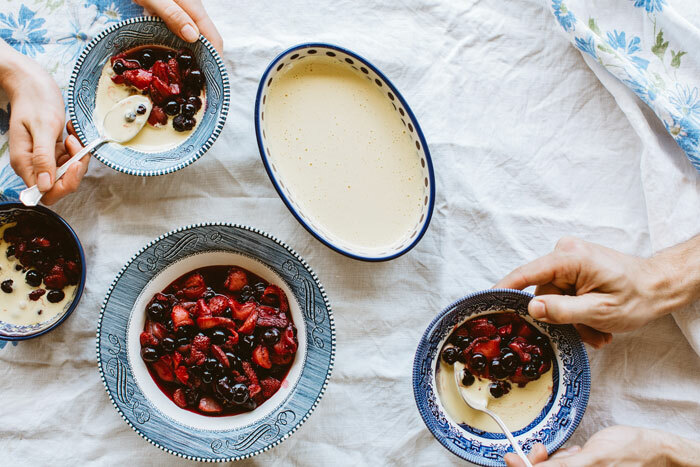 How to get egg yolks into your diet: Make Russian Custard (or see recipe in our cookbook), whisk raw yolks into a bowl of soup, add to smoothies, or drop yolks into a bowl of hot broth and eat while still slightly runny. Before you freak out at the ‘grossness’ of organ meats, think about this. Organ meats like liver, heart, kidneys and tongue have incredible levels of nutrients – much more than muscle meat, which our western diets tend to rely heavily on. Here’s some benefits of including organ meats in your diet: they are high in vitamin A antioxidants (which reduce inflammation and boost immunity); they provide a wide array of B-complex vitamins (which protect the heart, maintain healthy blood pressure levels, keep your brain healthy, improve mood, and prevent cancer); they hold large amounts of CoQ10 (an amino acid that functions as an antioxidant); they help protect against anaemia and iron deficiency; and they aid in fertility. Of course, we are talking about the organ meats from free-range, healthy animals, eating their natural diet – never eat the organs of animals that are intensively farmed and fed unnaturally fed. When trying to lower the numbers of bad gut bacteria, lowering your starch intake is important. Bad bacteria love sugar and starch and it helps them proliferate. Plant-based foods, however, need to be the bulk of our diet, and so switching to non-starchy vegetables maintains the high plant-based food quota but lowers the starch content. There’s also been some recent research that suggests that leafy green vegetables in particular contain a sugar molecule that encourages the growth of beneficial bacteria. Those with digestive issues are advised to eat their vegetables simmered in broth and with some added fats. The cooking makes them easier to digest, and the fat helps carry the fat-soluble vitamins into the blood stream. 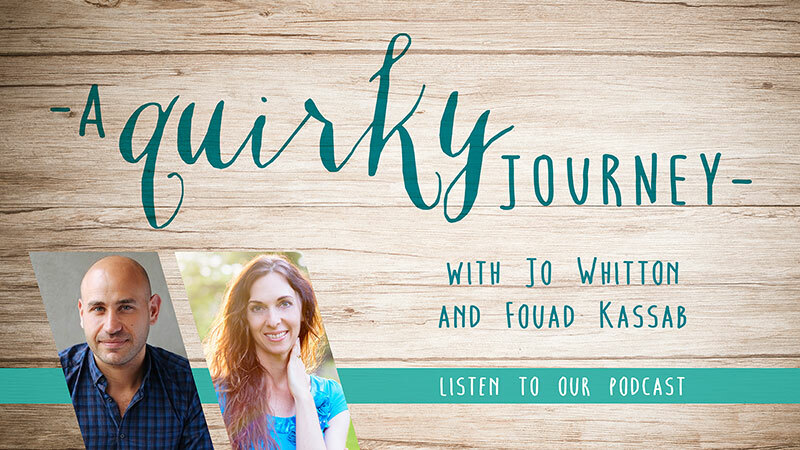 Written by Jo Whitton & Fouad Kassab . Learn more about the GAPS diet for healing the gut here. 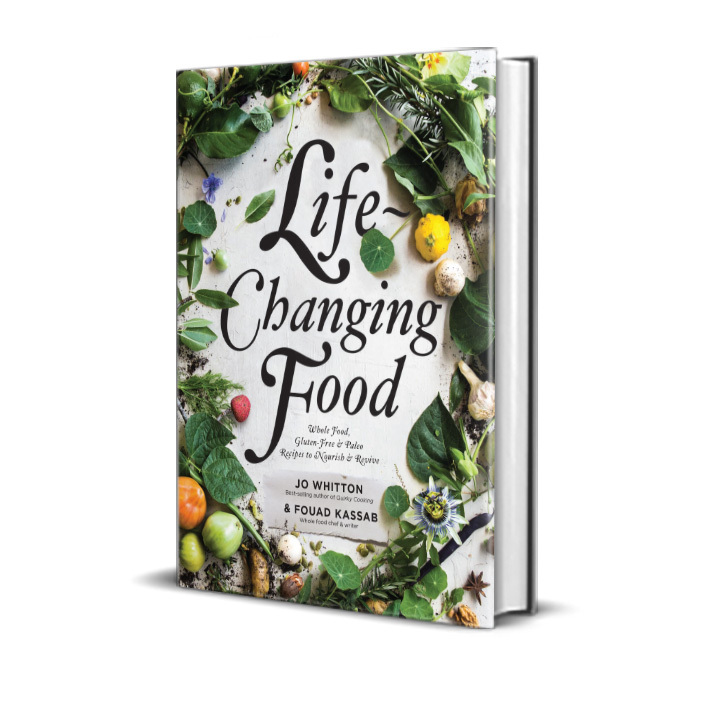 Order our cookbook Life-Changing Food, for healing, gluten-free, wholefood recipes. 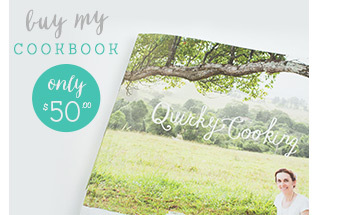 Just went to pre order your new book online and it is charging a shipping fee. Is this correct? Hi Margaret, yes, the preorder special finished on Oct 14th, sorry!! It was free postage up to then. Amazing, great list to start off my gut healthy eating! I’m new to your site but v interested in ur work. Can u pls tell me if ur book is suitable for lactose, fructose and gluten intolerances? 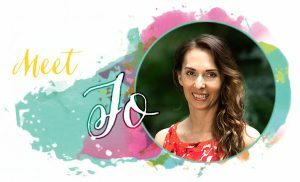 I’ve done Fodmap for 13 yrs w/o life changing help. 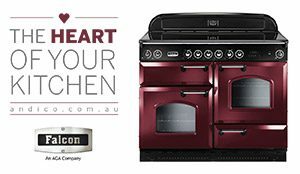 i have been following you for years and I have a thermomix so one reason as well. As a family we have took on the challenge to do a 11 week (kids say sugar free) massive sugar cut. We have cut a lot out but still have indulged once in a while with chocolate chip cookies with rice melt but still the chocolate chips. So really a 11 week challenge of cutting sugar down. ( we use to have sweets every day like cookies, lollies, anything processes) I am proud of the kids so far for trying there hardest. Al that to say My question is: I would still like them to enjoy home baked items what is the best thing to replace sugar with? I really want to keep this up. Thanks in advance for you help. Hi, my one year old has eczema and I’m considering doing the gaps program as a family. Is it suitable for babies? 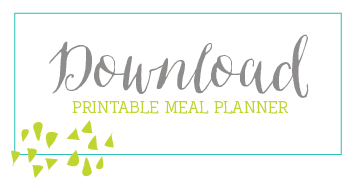 If so, is there a resource with recipes and food ideas for babies/kids out there that you’d recommend? I’m 22 weeks pregnant with baby number 4 and looking to embark on a Gut friendly diet for my family and myself. Any extra things I should know/ avoid being pregnant? Can the GAPS diet be customised to a majority in Plant based diet?